It’s the end of 2018 and while we’re in the middle of the uber frigid Texas winters (read as 60 degrees and sunny), but sometimes I crave a summer dish. Lemon or fruit tarts are always a good choice, but in the winter it’s a little harder to come by good fruit to create such a dish. Enter preserves and curds. Highlighting the best parts of the fruits, with the ease of any season use. Bonne Maman Lemon Curd and Les Comtes De Provence Organic Raspberry fill these layered tarts with just the right flavors of summer, even in this dark dreary Texas wintertime. A little help from the Tartine Bakery cookbook for their excellent Sweet Tart dough, and we’ve got it made. These ingredients, provided by the French Food and Drink Federation are top quality porducts from France, available stateside, and really highlight the artisan nature of many of the products we don’t get here in the US. I’m always amazed by the breadth of ingredients that exist around the world that I hear so little about. 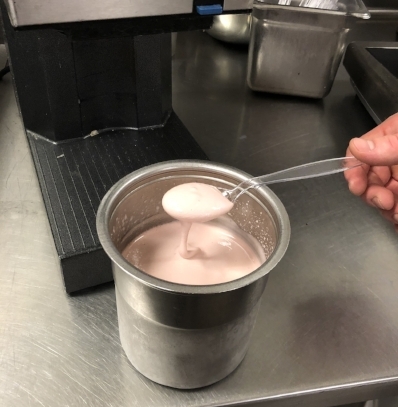 Always it ends up being the local flavors, country or region specific tastes and flavors or just the simple ingredients that others take for granted. Getting to try these out on some individual dishes is always amazing. The Lemon Curd from Bonne Maman has a deep, rich tart flavor that pairs exceedingly well with the fresh sweet raspberry jam from Les Comtes de Provence, both of which offset the rich buttery tart crust. Add some vanilla whipped cream and a little mint, maybe a slice of lemon and you’ve got yourself a great winter, or summertime dessert. Losing the warmth of the summer and the long day is never very fun, but carreening into fall has it's advantages — cider donuts, hot pumpkin pie, soups and stews — all make it worth while. Of course, I’m still holding on to summer and the French Food and Drink Federation is a great help with that. They were kind enough to make my desire to hang on to summer all the more easy with some delicious items — ones that I had to come up with something even more summery for. A dessert was defintely in order. As I’m just not that creative, I had to enlist some help from renowed Houston Chef Austin Simmons for some creative inspiration. What we came up with, for these delectable French ingredients, what nothing short of a memorable close to a long summer, with fresh tastes, fruits, and a crisp cool send off. What it sounded like to me was summer! These ingredients, direct from France were incredible, particulary the Violet and Anise mints. Long lasting and the addition of a single anise see in each one was unusual but welcome. Definietly an interesting treat. The dessert as a whole was fantastic — summery, crisp, minty, and smooth. The addition of coconut milk to the broth added a layer of succulent fat that kept the taste of the sorbet lingering. I’ll definitely have to make this again… or maybe just go to France. If you need any more evidence of the role of FOOD in a FAMILY and vice-versa, you need look no father than Jacques Pepin. Spry at 82 and bouncing around the kitchen, he works closely with his daughter Claudine, to make, what some perceive as complicated French cooking, seem approachable and engaging. I was thrilled to be invited by Lisa and Giancarlo Ferrara, owner and chef of Houston's Amalfi Restaurant, to a meal and demonstration by the legendary Chef Jacques Pepin to celebrate the birthday of a close friend, Jim Lee. Chef Pepin gave a blazing demonstration of a variety of his dishes from his cookbook including a beautiful salmon dish and, then, to the amazement of everyone at the event, he proceeded to debone and entire chicken, while talking and cracking jokes, stuff it with vegetables and bread, and tie it up with the expertise that only comes from years of experience, both in the kitchen, and in life. I will probably cook my entire life without being able to expertly debone a chicken, and it certainly won't look as pretty as his when it is done. Part of the afternoon was an expertly prepared 3 course lunch menu including a fantastic Pistachio Crusted Camembert, a simple and classic Tuna a la Minute, and an amazingly moist Sauteed Duck Breast. 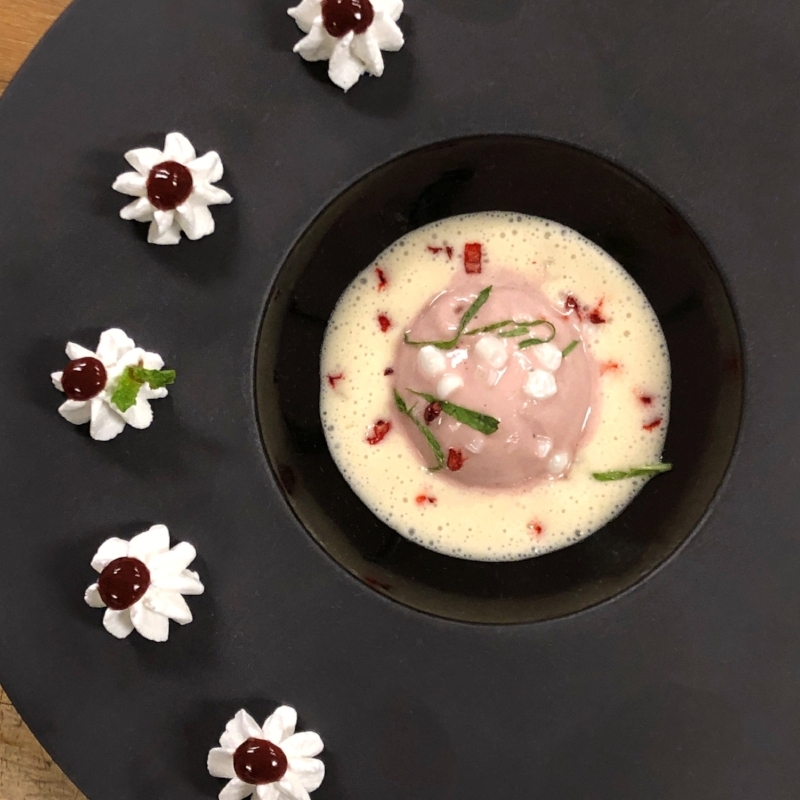 Each of these dishes was prepared by Giancarlo and his Amalfi team, while Chef Pepin continued to dazzle his eager audience with stories of cooking for not one, not two, but three French President's. His wit and charm was so fluid, so effortless, that it is no wonder people still flock to him for advice and guidance in his adopted hometown of Boston. The witty banter between him and Claudine made the whole experience into a family event. Everyone there was part of a family, whether that be their own, the family of the Amalfi staff, or that of Chef Pepin and Claudine. Fond memories of growing up with Jacques and her time in the kitchen learning from both he and her Mother were sprinkled into the conversation and everyone felt like they too were part of that family. Claudine won't make cookies anymore, due to a decidedly tough review from "Chef" Pepin, instead of "Papa" Pepin, but we won't begrudge her that. The whole event was an extraordinary celebration of family. From Jim's birthday, to the story of Lisa and Giancarlo, to the witty repartee of Jacques and Claudine, and to my own thoughts of my daughter and her time in the kitchen with me. Simple food with the best ingredients, crafted from the heart and soul of the family. This is what brings people together, and I sincerely thank Lisa, Giancarlo, Jim and Amy Lee, Chef Pepin and Claudine, for reminding us all that FAMILY is why we do what we do. Visit Amalfi, talk to Chef Giancarlo, and see what their family is all about. 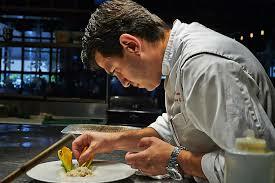 There is, as Chef Pepin says, "heart and soul" in their food. Pasta isn’t just an Italian dish—as if that was ever a question. The origin of “pasta,” as we Italians know it, has been assumed to be a result of Marco Polo’s travels to China in the 13th century. Whether or not we officially have Marco (Polo!) to thank for this additional contribution to Italy, pasta is a game changer. Pasta—and its derivatives—has become one of the most widely used staples in cuisines around the world. Enjoy Spanish paella but don’t want to eat rice? Then have a nice plate of fideua. Looking for a satisfying side with your schnitzel in Germany? Then grab some spätzle. Need something to fill that craving for a sweet snack? Have a noodle kugel at a Jewish deli, or have a bowl of kheer from India. No matter what you’re looking for, pasta and noodles have become entwined with culture, history, and more importantly in my life, family. I come from a family that happens to know pasta, and I don’t mean that we have a dish of spaghetti and meatballs once in a while. We consider pasta as a meal that brings us together as a family from start to finish. We make fresh pasta (as our hectic schedules allow), and we often try different styles. We’ve learned from our older generations and teach our younger generations. You could say that pasta has become a legacy in my family. My great grandparents hailed from the old country. You know, the one shaped like a boot. More specifically, they came from that rock that the boot seems to be kicking. The classic Italian story of “huddled masses yearning to breathe free” followed them from Palermo, Sicily to Brooklyn, New York, and with them, memorized techniques and recipes for the food that they left behind. After a quick shift in location, these Sicilian transplants ended up in southern California—where else would you want to end up in the USA? And the legacy began. . . .
My dad, while in his formative years, learned these techniques and recipes from his grandmother Josephine, who, while not speaking English, prepped the family’s pastas and doughs for the week each Saturday morning. Daily, before my great- grandfather went to work, “Pina,” as everyone called her, would ask what he wanted for a meal that day. These meals varied from trays of pizza (a slightly deeper, pan version of a traditional Napolitano style), pork chops braised in tomato and of course, pasta. Thinner, extruded style pastas were still purchased, in the familiar brands we know today, but the rolled pasta was always made by hand. Mixed, rolled, pressed, formed and filled to maximize the use of ingredients and variety for the week. My dad learned the techniques, not from a written recipe (there were none), but from watching and interacting. Pasta was eaten at almost every meal, as a side or as the main course. It permeated his family life. It was always there. It was traditional and it was comfort food. The thoughts of pasta and its place in life became a subconscious part of his mind. So much that to this day the process of making pasta isn’t by recipe, it is by feel. When does the dough look right? Has it rested? Are those ingredients fresh? Is it AL DENTE? NO ONE likes over-cooked pasta (I’m looking at you, Olive Garden). When I was growing up, we had pasta often. Not as frequently as we probably would have had I grown up with my great-grandmother, but hectic life gets in the way. We didn’t make the dough as often but there were readily available classic “blue box” brands that were suitable for a fettuccine, spaghetti or penne in a pinch. The dish I remember fondly was simply sautéed chicken with garlic and sun-dried tomatoes served with fettuccini. The tang of the sun-dried tomatoes and the overall heartiness of the dish always made me happy. Eventually, I was out on my own, and college kids don’t make pasta in a dorm room. I don’t think even Italian college students do this (they just have their grandmother make it and go home for meals). But at a certain point, I started making it myself. Starting with the boxes I remembered. Combining ingredients without the aid of a recipe. I struggled. I practiced. I got better. Then, I had a child. Not only does a child change the story, but he or she also adds to the legacy. What else is a legacy if not family? MY child will cook pasta. In fact, by three, she was already rolling her own pasta dough. Building up those arm muscles. Tasting the dough (“Eww, spinach!” she would say). All the while, learning, observing and developing an understanding of something that is so simple but rich with history—our family history. Charlie eats pasta at least twice a week. When we do find time to make the dough, she stands on her stool next to the expansive wood board, cracks the eggs in the bowl and mixes the dough. When it’s just right and ready for rest, she wraps it up. And when it’s time to roll and cut, there is Charlie—watching, learning, absorbing all of the things she’ll one day teach her children so that the legacy continues. It will be natural. It will be easy. And it will be delicious. 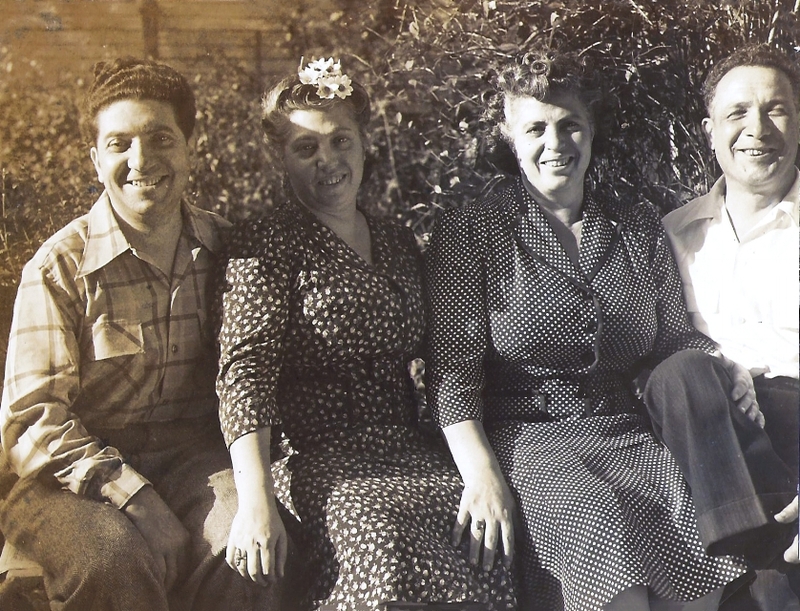 Pasta is a global legacy, it is a cultural legacy, but more importantly to me, it is a family legacy. 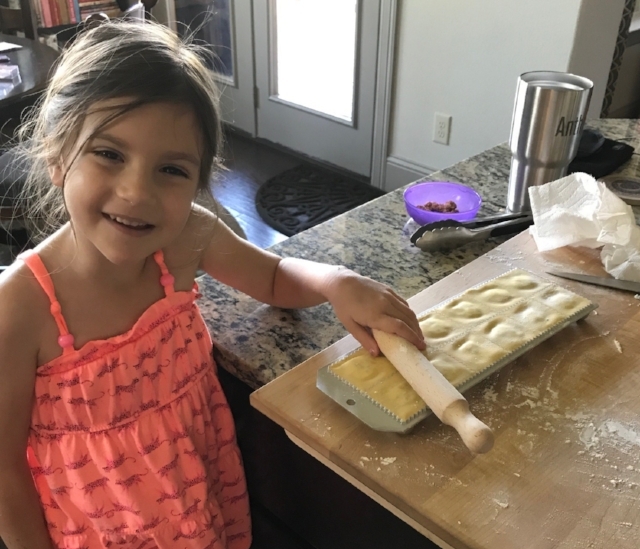 The ways I cook and the techniques I teach my daughter are things that are passed down from years of experience and love. With each dish, history extends even further. We pay homage to our culture and our families through the shared history of food, and what better way than through a homecooked plate of pasta. That is literally it. Are you a fancy joint that has a philosophy to your hamburger, to such a point that you'll only let me order it the way you want it? Pass. Are you a taco truck, at an intersection, that refuses to clean your place up? Pass. Do you take even the simplest, pedestrian dish, and create it with care, using the best ingredients that you can find? Sign me up. Have a great taco, but take the time to make the shell yourself? Oh yeah. This Tres Leches isn't enough Leches?? I'm on board. This is what Rita's does. This is why I go back. This is why so many people I know, who know food, return to this distant outpost, in a small strip center, time and time again. If these pictures don't get you there, you might want to have your eyes, and taste buds, checked. Come here with your expectations at the appropriate level. This isn't your white table cloth experience, but there are some lovely embroidered table clothes, under the protective plastic. You won't find a Maitre'd. But you'll find amazing staff, Judy (the co-owner) chatting with tables, Javier in the kitchen, and some lovely food on the table. This'll be short and sweet. I spent 2017 trying to grow my Instagram account (@subtlefoodie) and in the process, learned a ton about Social Media in general, and boy was it enlightening. Did you know there's a algorithm running behind Instagram that makes a determination of what posts get shown more frequently? I didn't. Did you know that you can be shadowbanned for using automation tools or unauthorized bots? I didn't. Did you know what engagement on posts is heavily determined by the first two hours of a post being live? I didn't. Did you know there are something called Engagement Pods? I didn't. Thankfully, in 2017, I managed to do my favorite thing: Learn. Learn about the algorithm. Learn about what makes a post highly engaging. Learn about what makes my community of followers tick. Learn about what they want to see. Learn how to engage with others. Learn how to deliver engaging and enjoyable content that help support locally owned and small businesses . There's up's and down's in that world. Engagement Pods are super interesting. The key concept is a group of like-minded people who help drive engagement to your posts. It works because you get REAL people engaging with REAL posts. It works because everyone is committed. It fails because you get some that only want to drive engagement to their own posts. This has happened a number of times to me, and unfortunately, there's no way around it. You learn to live with it (and not engage with those accounts), and you move on to what is important: DELIVERING CONTENT TO YOUR COMMUNITY THAT SUPPORTS YOUR VISION. As someone once told me that people "..forget to think of their CONTENT first..." I credit much of what I've learned about IG, and how to do it RIGHT, to a one dedicated foodie. Please support her account too: @happytummy_702. She's also one of Zagat's 2017 Foodie Award Recipients and an amazing supporter. Content is key, and I will continue to use my account to support those locally owned restaurants, family owned joints, and enthusiastic creators of food. That's what I love. I love the passion. I love that it's something I strive to do on my own, but don't have the creative skills, so I live vicariously through them, and get to enjoy the fruits of their passion. I feel like I've become a bigger part of the Food Community over the last year, and I couldn't be happier. If you meet me, you'll see I love to talk about tech and food, that's about it. I hope my passion comes through in my CONTENT. I hope you will check it out. I hope you will find something of the passion of the creators of food in my posts. I hope you will support them. I believe in positive engagement for these creators. I do not review restaurants. I do not post on Yelp. I vehemently refuse free food (i.e. compensation for posting). If I don't like something, I don't post it. If something is wrong, I'll bring it up privately with the restaurant/business. There is nothing to be gained from publicly shaming a business. There's too much negativity in the world, and I'd rather be a positive force for good. That is all. Here's hoping for a wonderful and food filled 2018. I wish the same for you and everyone. I didn't think I'd like it. it was odd. It was quirky. It was formatted in "skits" or segments. But damn if I didn't get addicted, and then subsequently binge the first three seasons. I highly recommend it. Also, if anyone is Portlandia from is reading this (Hey Fred or Carrie), I'd love a T-shirt, or maybe a book from Women and Women First. Portland is a quirky town. I liken it to Austin, Texas (or, much to the chagrin of the residents, a small Seattle). I used to come here alot in late 1999. It was different then, and it's changed alot. It's still different. When I travel, I try to search out the local spots. I get in touch with local foodies and groups to see where I can find the "real food", not just the touristy and trendy right now food. Portland has plenty of "real food". And some even more amazing people. Olympia Provisions (107 SE Washington St), in a warehouse district against the Willamette River was one of my favorite stops. Incredible house made charcueterie (in a certified USDA facility), amazing pickles, and great conversation. Sit at the bar and chat with the chefs. You'll get some great tips on the city, and let them pick your meal based on the Chef's Choice platter. Some of the most amazing pate I've ever had. Noble Rot (1111 E Burnside St), down Burnside, was a tremendous stop. Up on the fourth floor patio, you can look out over the city, and snack on the dishes that feature the veggies and fruits of the roof top garden. I highly recommend the Pork Croquette (pulled pork in a vinegar sauce, fried, and served with greens and a fantastic mustard sauce). Even with the haze of the BC forest fires hanging in the air, the view is incredible. Although I have many thoughts about Portland, its people and its food, expecting to find good quality Mexican mole didn't even cross my addled mind. Mi Mero Mole (32 NW 5th Ave) was a lunch spot of serendipity. I happened to walk by after a long meeting and thought, "Hey now, some mole sounds good". And boy was it. A sampler platter showed up with five different kinds of mole, beans, rice and tortillas. It was hearty and satisfying. Man do I love me some mole. When you fly into Portland late at night and you're hungry, where do you go to get fed? Go to Luc Lac (835 SW 2nd Ave). Open late, this night owl hangout has some of the best Banh Mi I've had in a long time in a cool atmosphere. Asian umbrellas line the ceiling and the counter-order, then get seated concept keeps the line moving. A quick five mins later, I was noshing on a sublime pork banh mi, some lovely spring rolls, and was headed back home. If you have the inclination, hang out at the bar for some great beer selections. Since it was a short trip, and I actually had work to do, two stop wrapped up my trip: The Roxy Diner (1121 SW Stark St) and Blue Star Donuts (1237 SW Washington St). Do yourself a favor: Go to The Roxy, grab breakfast, then walk over to Blue Star and have an OG. Skip Voodoo (too much of a line and too gimmicky). Get a real donut. Enjoy it. If you get the chance. Go to Portland. Watch Portlandia first. Eat the food. Talk to the people. Seek out the quirky and local. You won't be disappointed. I missed a lot, but I'll be back Portland, don't you worry. Remember, the dream of the 1890's is alive in Portland. Seattle is, as you well know, in the top left corner (also read as "Northwest") of the United States. Just below Vancouver, and just east of a mass of water colloquially known as The Pacific Ocean. It's the home of Grunge, Starbucks, and the breeding ground for music that changed our age. The age of the 80's and 90's, the age of my childhood. I was surprised by the amount of trees and green within the city and in the Redmond/Bellevue metroplex (if you can call it that). The roads all align around various bays of Puget Sound and through the trees and mountains. Seeing the impressive majesty of Mount Rainier on landing was really very nice, and I was surprised by the pleasant weather. I mean, what do you think of when you think Seattle? I think rain, rain, and more rain. While work had to be done, and that was the reason for the trip, I always try to find time to find food, find the local, find the best of a city that I've never visited. Since I've never been to Seattle, I had much to explore, but little time. I had acquired some insight from some local foodie personalities, including some chefs from Houston. Some of the places mentioned included Espresso Vivace, Pike's Place Market, Molly Moon Ice Cream, and others, and I was determined to seek them out. After a great IPA from Green Flash Brewery out of San Diego, I headed back to the hotel. It was late, and I was sure my other choices would be limited, so a night of sleep would be a welcome respite. Down the tiny street in Redmond, I spied an ice cream cone, then a bunch of people, and like a beacon in the night, Molly Moon's Ice Cream was right next to my hotel. I was already full, but wanted to give it a try. A single scoop waffle cone with maple walnut ice cream was all it took, and I was fulfilled. One of the main reasons I came to Seattle (besides actually having real work to do), was to try some BBQ in the Northwest. Jack Timmons has been doing incredible things in Seattle for a long time, including importing mesquite for his restaurant and putting out some amazing meats on three huge offset smokers. Jack's BBQ is the gold standard in Seattle. Amazing stuff, as you can see, but I gotta say that the Beer Belly Sausage was the standout. 50/50 beef belly and beef brisket made with a locally produced beer. Amazing taste. So glad to see BBQ alive and well in the Northwest, being evangelize by someone like Jack. Rounded out the trip with a trip to Duke's on Alki Beach for an incredible view and amazing Fish & Chips, a fantastic latte at Espresso Vivace and some really great banana pancakes at Chace's Pancake Corral. Seattle is an amazing place, reminiscent of a smaller San Francisco, but with better trees. it's definitely a foodie town, so if you're around the area, get there and check it out! With the much heralded return of Bob and Doug McKenzie and a trip to Banff/Emerald Lake in Canada, I thought a quick post on my journey there may be warranted, eh? Starting in Calgary, one thinks that Canada is all plains and rolling grassland, but 50 km west of the city, the mountains, as well as my hunger starts to rise. It's tough in a new area, and without proper cell signal, to find something food to eat, but thanks to some on-the-plane research, the decision was made to stop in Canmore, Alberta. A neat little town of locals, that was holding a farmers market on the main street, seemed to be a perfect stop. First stop, right along the farmers market path, was The Range. A quaint little counter service place with a great patio. The sunshine, mountain air, and menu seemed just right. A Chicken Pot Pie entree (6/10), a Baked Eggplant Sandwich (7/10), and a salad (6/10) had our eyes set and tasty buds tingling, but the beer drove it all home. Filled up, on our way we went. After we arrived at the Emerald Lake Lodge, in British Columbia, we settled into our suitably rustic room (read that as "no cell signal, no wifi"), and checked out the historic Lodge for dinner. The dinner was marginal, save for the Skuna Bay Salmon dish, but the view and service was extraordinary. One can look past "vegetable carpaccio" when treated to mountain vistas of awe inspiring beauty. I will say that the Maple Pie was probably the highlight of the meal. The next day was supposed to be fun-filled with an exciting white water rafting trip down the Kicking Horse River (including riverside BBQ post-trip), but excessive rain and snow melt meant the trip was cancelled. The good news? It was all about The Big Bend Cafe. I am a breakfast person. I love pancakes, eggs, hashbrowns, everything that makes a breakfast great. This was simply one of the best I've ever had. The right locale, the right menu, the right food, the right people. Everything was right. It takes only one picture to explain, and that is the one of the Lumberjack Breakfast. Oaty pancakes, ham, bacon, sausage, eggs and pan fries. It was perfect. If breakfast wasn't enough, I had to go truly Canadian for lunch, and that means poutine. Luckily for me, The Station Restaurant in Lake Louise had what I was looking for. Pulled Pork Poutine, over crispy fries, with gravy and cheese curds. The ultimate comfort food. I'm convinced that this is how Canadians stay warm in the winter: piping hot poutine, and a roaring fire. A trip was made for dinner to the town of Field, Alberta, population 169, for dinner at Truffle Pigs Bistro. This was, what we figured, the only restaurant in town, and being a Friday night, it was suitably busy. We managed to get a table and were looking forward to the food, as it came highly recommended. Needless to say, the service and the food were what you'd expect where you're the only game in town: subpar because you can be. I'll just leave it at that. Disappointment with dinner aside, we did get a good recommendation from the Australian waitress at Truffle Pigs. "Head to Banff", she said, "and give Saltlik Steakhouse a try for lunch. You won't be sorry." Ever the intrepid explorers, we headed out the next day for an early lunch/brunch meal on the patio of Saltlik. The day was gorgeous outside, and I couldn't resist a menu item called "Royale with Cheese", for obvious reasons. Boy, were we happy. A huge 1/2 pound Certified Alberta Beef burger with cheese, bacon, and all the fixin's, and a second entree of Duck Wonton Tacos, we were definitely on a Rocky Mountain high. The wok-fried calamari app hit the spot with it's slightly different spin on the classic and blistered serrano peppers. This was without a doubt, the best lunch we had the whole trip. After our last night at the Lodge, we headed back towards Calgary, and made a stop again in Canmore for breakfast. Striving to hit an out of the way, locals places, we went to the outskirts of the city and hit up The Summit Cafe. Even with the line outside, and the small interior, we got a table (and a triceratops table marker) and enjoyed a great breakfast burrito and this dish of Tuscan Sausage, Eggs, Pan Fries and Toast. The sausage was chicken with sun dried tomato and spicy and had a great snap and juiciness to it. The weather cooperated and a great time was had. Time to head to Calgary, and back home. This was only my second trip to Canada, the first being to Toronto, and I gotta say, I love it here. The people are friendly, the place is absolutely spotless, the American dollar is strong, and the food is great. Some minor missteps, but I'd definitely come back to many of these places. We tried to stay off the beaten path, away from the tourists, and while not always successful, the places were great. Take my advice: Go to Canada, explore the outdoors, meet the locals, eat the food. You'll be better off for it. I know I am. Do you know your vareniki from your pelmeni? You probably don't. I sure didn't. But the owners of Wholly Crepe sure do. This little Russian cafe in Tomball, Texas is churning out some amazing Siberian dishes from their small, homey restaurant. Located on the historic Main Street section of the city, across the street from distressed furniture store, and a statue which bears an odd resemblance to a "pizza joint", Mila and Bill Hendrix have certainly found a niche. Our first visit was on a rainy weekday during lunch. They cozy, and small, cafe seats about 25 inside and is filled with Russian porcelain and chocolates. The menus, in their 1 inch white ring binders spill forth an amazing assortment of dishes from MIla's native Siberia. Uber traditional items like borscht, chicken soup, pelmeni (similar to meat ravioli), and vareniki (Russian pierogi, sit alongside more modern fare like the crepe pizzas (with a variety of toppings). Plenty of other options abound as well. There are sweet and savory crepes, goulash, cabbage rolls, and of course, beef stroganoff. The array of filings (meats, cheese, sweets, sauces, fruits, etc) are too vast to count, but could easily let you concoct a crepe dish that would send away even the coldest Siberian winter. As if that menu of Russian goodies isn't enough, they also do breakfast. besides the crepes, there is Oatmeal, Waffles, and Grechka (a buckwheat porridge. If you think that is boring, get the buckwheat side. I don't know what they do to it, but it was the most flavorful buckwheat I'd ever had. This definitely seems like a good breakfast option that shys away from the traditional or the fast food. Expect something different here, and this family owned place will deliver.